Last month Kobo started sending out emails notifying customers about how they will no longer be supporting some older Kobo devices and Kobo apps after February 28th, 2019. The Kobo Mini is one of the devices affected by the security change, but it’s unclear at this point if Kobo is going to continue supporting it or not when it comes to downloading ebooks from Kobo and shopping for ebooks. Kobo support is sending mixed signals on this one. In their help article regarding the topic, one section completely contradicts the previous section. What does this mean for my Kobo Mini? If you don’t install the mandatory update, your Kobo Mini won’t connect to Kobo servers. This means that you won’t be able to add new eBooks to your Kobo eReader with Wi Fi or Kobo Desktop. As of February 28th, 2019, the Mini will no longer be supported by Rakuten Kobo. This means it will no longer receive software updates, and will not be able to connect to the Kobo Store. So which is it, Kobo? The page has been updated since the announcement was first made. Perhaps they just forgot to edit out the second part. But there’s also the fact that the Kobo Mini isn’t listed at all on Kobo’s products no longer manufactured or supported page, where they list all the supported and unsupported devices and apps, and the Kobo Mini doesn’t appear on either list. 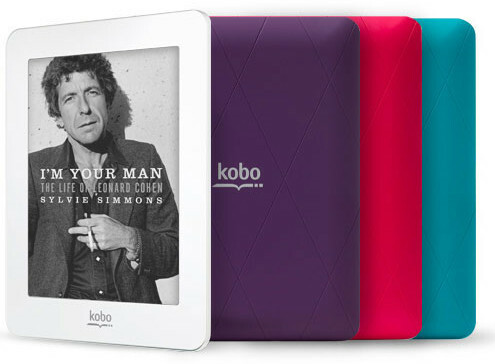 So will the Kobo Mini be able to connect to the Kobo store after February 28th or not? I guess we’ll have to wait and see. Will Barnes and Noble Release a New Nook eReader in 2019? If you use the program “Calibre ebook management” you can move the books from your PC to your reader using a USB cable (the same one you use to charge it). It’s probably not a big deal if you use Calibre for everything but it would also require using Adobe Digital Editions, which requires a lot more work. Kobo was selling the Kobo Mini as recently as 5 years ago, so if they’re going to suddenly stop allowing customers to buy and download ebooks directly on the device itself that is a big deal. Kobo’s customers shouldn’t have to rely on 3rd party software just to read ebooks on a device that worked perfectly fine up until February 28th. If Amazon stopped supporting older Kindles it would cause a major uproar.